South Indian Bank recruitment 2018 notification has been released on official website www.southindianbank.com for the recruitment of Senior Manager Scale III, Chief Manager Scale IV & Assistant General Manager Scale V. Job seekers should apply from 31st January 2018 and before 09th February 2018. 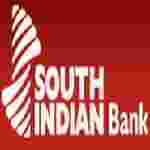 Here on this page you will get the details like the Name of vacancies released by South Indian Bank with exact number of posts. Some other criteria like Education details, application fee and way to apply application for South Indian Bank recruitment 2018. Educational Qualification: Graduation from recognized university Additional weightage for Post Graduation / MBA/ specialised qualification in the respective area. Age Limit: 45 years for Scale V, 40 years for Scale IV & 35 years for Scale III as on 31.12.2017. Interested and eligible aspirants should apply online through the website www.southindianbank.com from 31.01.2018 to 09.02.2018. Before filling up the online application form, the candidate must ensure that he/she fulfills all the eligibility criteria with respect to age, educational qualifications, experience etc. in respect of the post for which he/she is making the application. If the information furnished by the candidate is found to be false at later date, the selection / appointment shall be liable for termination. Candidates are advised to retain two copies of the same photograph which is used in the application, for use at the time of interview. Shortlisted candidates will have to appear for Personal Interview at their own cost. Candidates willing to work outside their home State/ anywhere in India as decided by the Bank only need to apply.